Top tips for passing on your homeland language and culture onto your children. For those of you born and raised, speaking only English – could you imagine if you and your family moved to a completely non-English speaking country? Would you forget all about your homeland culture, and not speak English to your children? Highly unlikely! I am Australian. I grew up in an Italian speaking household in Sydney; and today feel blessed to be able to speak, read and write in Italian, with a deep appreciation of the culture (especially its glorious food!). There are many families who would like to maintain/ integrate their homeland culture and language whilst living in another; and wonder about ways to go about doing this successfully. Is it for your child to; understand your native language? Understand and speak your native language/s? Perhaps to understand, speak, read and write your native language? Maybe it’s just to know about the culture itself, and appreciate their heritage. Once this is established, the goalposts are clear, as are the expectations for your child. How will your primary goal be achieved? When referring to language – like anything – if you don’t use it – you lose it. To have your child develop and maintain your native language; it comes down to opportunity and practice. Motivate your child in a way that is specific to him/ her. Be positive and encouraging (rather than threatening and punishing). Provide loads of fun ways to use the language; visiting local extended family; setting up Skype sessions with friends and relatives who live afar; seek out play groups (that use your native language) or start one up! Be an awesome ‘teacher’. Get your child involved in learning more about your culture, such as the, food recipes, songs, fashion, dances etc. Show dedication to your native language by ensuring you are consistently speaking it to your child. Although not always possible, if you can, plan trips, travel to your home land or a country that speaks your native language. Parents and carers do not need to switch to English at home because they are concerned their child won’t pick up English. 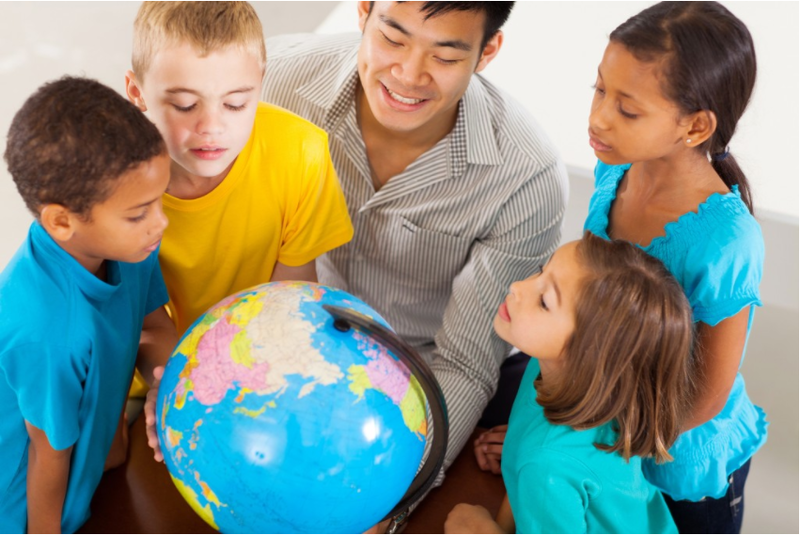 Children will pick up English nicely from the English speaking community around them. In fact children learn language better from a fluently spoken native language than poorly spoken English. This is because they need to set up a good model of how language is spoken. The most important thing is that whatever language your child is speaking at home they are meeting the usual milestones. It can add an extra challenge when parents are from different cultures, e.g. Dad speaks English, Mum speaks Italian. Again it’s important to make a plan and be consistent. Families may choose to follow a one parent – one language rule. If they do, each parent should try to be consistent using their chosen language. Yes there is more work for one parent to translate what they are saying to their child, to their partner; but the commitment is worth it! Maintaining one culture whilst living in another has made Australia the culturally rich country that it is today – what a gift to be able to experience the best of many ‘worlds’. Newer Post Do you have the most important things on your list? Older PostBuilding your child’s vocabulary – Why is it so important anyway?